Spurs monitor Palermo attacking midfielder | The Transfer Tavern | Where football transfer rumours fly or die! There are a lot of Tottenham fans in the Football Transfer Tavern today and news from Mail Online that the club will renew their interest in Palermo’s Josip Ilicic just 18 months after they gave up on the chase for the highly-rated midfielder has been met with general approval. The White Hart Lane-based club have scouted the Bosnian-born Slovenian international after he earned plaudits for his fine displays for the Serie A side this season. He joined Palermo from Maribor in the summer of 2010 and has gone onto attract interest from the Premier League side with his impressive consistent form. Tottenham’s interest in the midfielder had ended when Palermo slapped a £25 million price tag on his head with the player still having five years to run on an existing deal at the Sicilian club. However Mail Online report that Andre Villas-Boas is ready to move back in for the versatile attacker during the January transfer window. The 24-year-old, who can cover positions behind the striker as well as on each flank, was also a previous target of Chelsea but they baulked at the high asking price. Spurs currently have a lot of talent in the central portion of the park which may put any move for the midfielder on the back-burner especially given the club’s obvious need for striking reinforcements. Keen to address the striking options at White Hart Lane this January, find out which forward Andre Villas-Boas is sniffing around by clicking here. 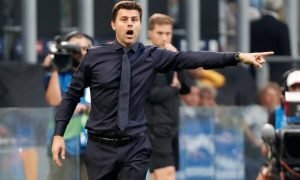 Do Spurs really need another attacking midfielder? Vote in our polls below.